We have been engaged in foreign trade business for nearly 20 years. Welcome worldwide friends to contact or visit us for business and cooperation. We are sincerely looking forward to having a bright future with you. 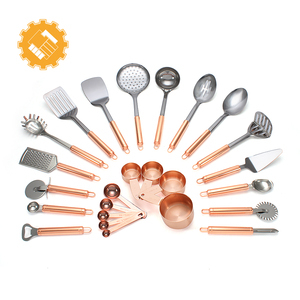 Jiangmen Everbetter Housewares Co., Ltd.
you can use this baking tools and cookware for you or give great kitchenware gift for your friends and family and you will get big hug and thanks. This 38-piece Black Plastic Kitchen Utensil Set is the ultimate set to tackle all your culinary needs. 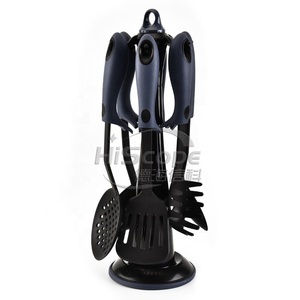 Thia 38 high quality Black Plastic Kitchen Utensil Set will offer user everything for all food prep tasks, without costing you a fortune buying each piece individually. Packaging & Shipping Uasally main goods time is 35days! The film charge is USD400 each design, samples lead time is 7days! Yangjiang Power Jazz Hardware Co., Ltd.
Huizhou Futton Metal Co., Ltd.
Any interest in our products,please feel free to contact us we will always at your service. , Ltd is a professional manufacturer specializing in producing and exporting kitchen knife, kitchen utensil, kithen tools,ect. Any interest in our products,please feel free to contact us we will always at your service. 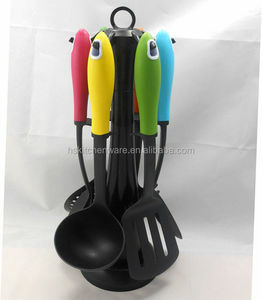 Alibaba.com offers 684 european kitchen tool products. About 12% of these are utensils, 7% are herb & spice tools, and 5% are cake tools. 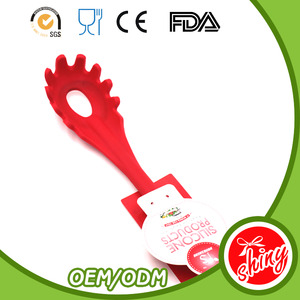 A wide variety of european kitchen tool options are available to you, such as fda, ce / eu, and lfgb. 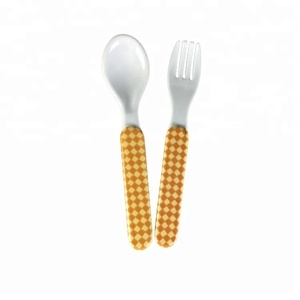 You can also choose from utensils, fruit & vegetable tools. As well as from metal, plastic, and silicone. 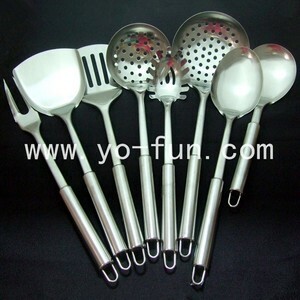 And whether european kitchen tool is utensil sets, spatulas, or skimmers. 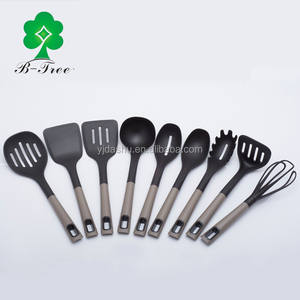 There are 612 european kitchen tool suppliers, mainly located in Asia. The top supplying countries are China (Mainland), India, and Pakistan, which supply 93%, 3%, and 1% of european kitchen tool respectively. 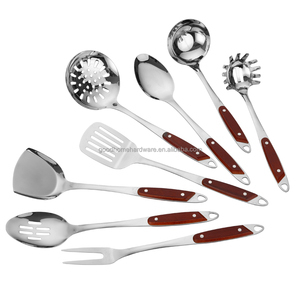 European kitchen tool products are most popular in North America, Western Europe, and Eastern Europe. You can ensure product safety by selecting from certified suppliers, including 106 with Other, 78 with ISO9001, and 17 with BSCI certification.